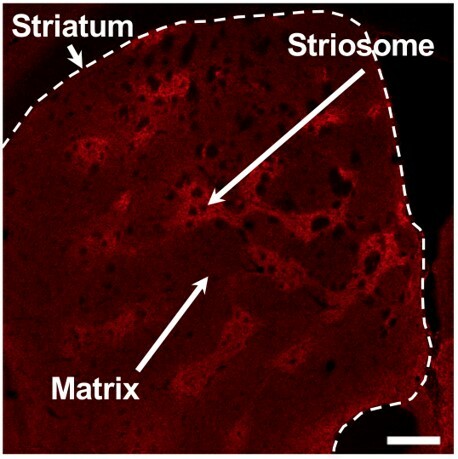 A microscopic image of the striatum, showing the mosaic-like organization of the striosome and the matrix. 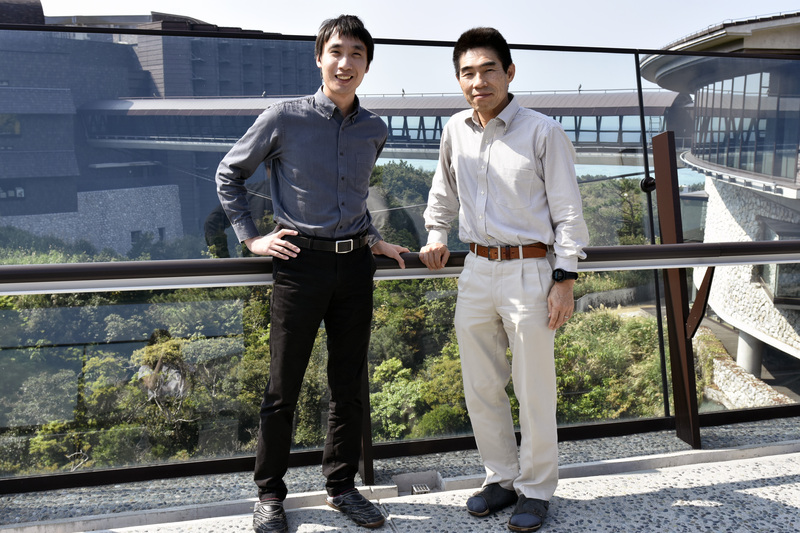 Tomohiko Yoshizawa (left) and Kenji Doya (right) from OIST’s Neural Computation Unit stand on the skywalk at OIST. 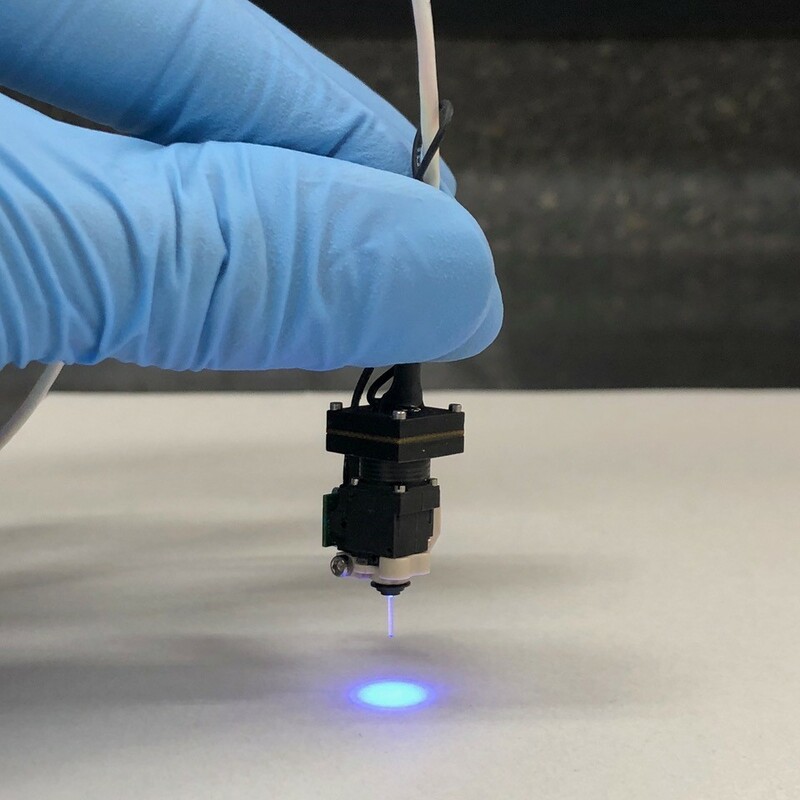 The researchers used a special endoscopic microscope, developed by a spin-off company from Stanford University, to record the activity of neurons in the striosome at the tip of its lens, which is half a millimeter in diameter. The endoscopic imaging technique was applied to the striatum in order to record activities of striosomal neurons (left). An image observed by the endoscopic microscope (center). Reward-predictive signals of a striosomal neuron (Right).